I’m writing today as Litecoin surged past $200 and all the way up to $400 per coin. After seeing great returns of my own, and answering questions for many of my friends who aren’t sure where to begin, I thought it’d be helpful to pass along one of the best resources for beginners I’ve found! The following is a great guide to Litecoin sourced by u/Sparkswont! Whether you’re new to cryptocurrency and have no clue what a ‘litecoin’ is, or a seasoned investor in cryptocurrencies, the resources below will answer all your questions. If you still have questions, feel free to ask below in the comments! Litecoin (LTC or Ł) is a peer-to-peer cryptocurrency and open source software project released under the MIT/X11 license. Litecoin is one of the largest, oldest, and most used cryptocurrencies in the world. Similar to Bitcoin, Litecoin uses blockchain technology to process transactions. So what’s the difference? To process a block, Litecoin takes 2.5 minutes rather than Bitcoins 10 minutes. This allows for faster processing times. Litecoin also has the capability to produce a total of 84 million units, compared to Bitcoins 21 million. In addition, Litecoin uses scrypt in its proof-of-work algorithm, a sequential memory-hard function requiring asymptotically more memory than an algorithm which is not memory-hard. Still confused? Take a look at this video! Litecoin (and other cryptocurrencies) is stored in a digital wallet. When storing Litecoin, you want to make sure you trust the place you store them. This is why it is best to store them yourself through the electrum wallet. It is highly suggested to not store your Litecoin in an exchange (such as Coinbase, Poloniex, Bittrex, etc.) because you don’t control the private keys. 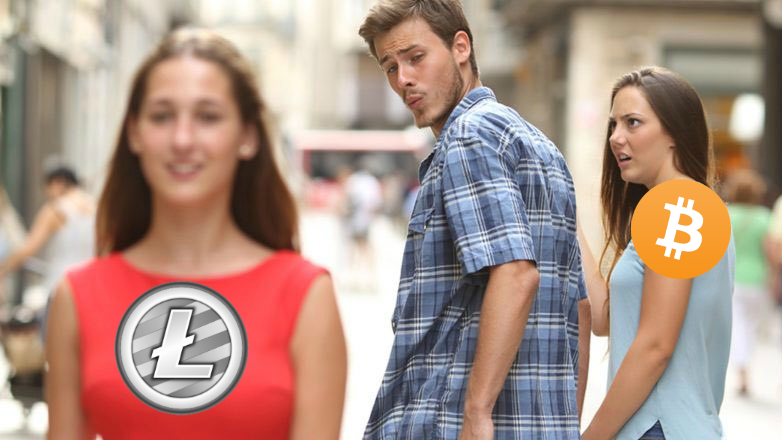 If the exchange ever goes offline, or becomes insolvent, your Litecoin essentially disappear. If you’re a fan of mobile devices, then Loafwallet is the wallet for you. Developed by a Litecoin Foundation Dev, /u/losh11, this mobile wallet works great! And remember to always make sure to write down your seedkeys. Hardware wallets are another great option, in fact, they are said to be the most secure way to store cryptocurrencies. Below is a list of the litecoin flexible hardware wallets. Where can I discuss Litecoin? If you have more questions, or are genuinely interested in learning more about Litecoin then be sure to read this series. If you have a specific question that you can’t seem to find the answer too, ask below and someone will help you out!